The Pictar One MKII and Pictar One Plus MKII clasp onto your supported mobile device, making your phone much much easier to handle right off the bat. Immediately, we were able to manage photo captures singlehandedly and with ease thanks to the rubberized grip and ergonomic build of the Pictar One Plus MKII. 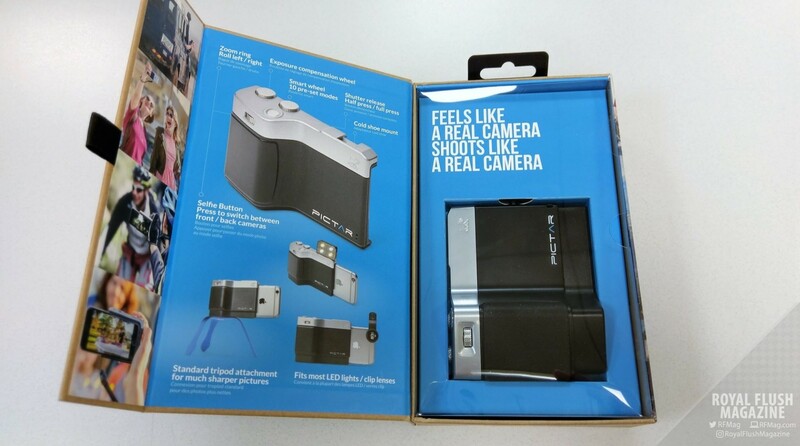 I mainly used the Pictar One Plus MKII for techy product shots, where I would sometimes hold the product in a one hand and the Pictar One Plus MKII in the other. Using my thumb to quickly finagle with the exposure while using my index finger to adjust the zoom became second nature almost instantly. Using the Pictar app, you’re free to play around with the touch controls if you so wish. With some of the modes, such as manual mode, you will have to use the screen to play around with advance functions as you would with the shutter. However, as quickly as it is to get accustomed to the grip’s dials and button, less advanced users may find themselves abandoning the screen almost altogether when shooting. Now that is not at all a bad thing. Hitting the amount of conventions that we do, especially with the various conventions having such varying lighting conditions, I find myself playing with the exposure on my phone all of the time. For example, I used the Pictar One Plus MKII with a Samsung Galaxy S8 when I took the below shots of the Samsung Galaxy S9 and S9+ for the Samsung Unpacked 2018 event weeks ago. I was able to save a noticeable amount of time using the Pictar One grip controls over pinching and sliding about on the S8’s screen. That’s not at all to say that the Samsung Galaxy S8‘s native camera interface was a displeasure to use. It’s just that it was noticeably faster, easier, and more comfortable to use the Pictar One Plus MKII for the bulk of my shots for that day. Sure, post-shot edits usually have to be done on the final products. However, the Pictar One Plus MKII brought me to closer to that “finish line”, and it did so much sooner. The rubberized grips on the inside of the Pictar’s clasp do an awesome job keeping those devices stable at all times. Here, you have it have the Pictar One Plus MKII holding the iPhone 8 Plus with ease. Even though the Samsung Galaxy S8 is better slated for the smaller Pictar One MKII, the S8 could still be tightly held by the Pictar One Plus MKII as long as you kept the phone’s case on it. Here are some more shots and screen captures of the Pictar One Plus MKII being used with the Samsung Galaxy S8. Now, I have to say that the Pictar One MKII and Pictar One Plus MKII are products that are optimized for usage with the latest iPhone devices. Some features are not (currently) available for the supported Samsung and Huawei devices. Those features are ISO Mode, Shutter Mode, Sports Mode, configuring the Programmable button and Pictar volume adjustments. If you are an Android user with a supported phone, not all hope is lost. Several of those features are labeled as “coming soon” when you try to access them, so they can still become available down the road via Pictar app updates. Still, being a solely Android user, I wanted to specifically experience what the Pictar One (Plus) MKII grip products had to offer to these Android devices. I have to say, even with a stripped feature set, I was still very impressed with the product. The only take-away I had was the very loud “snapshot” sound that plays out of the grip itself when taking shots. This sound is suppressible on the iPhone but not on the supported Android devices. Whilst annoying in quieter semi-populated environments, this “click” sound was and would be generally ignored for my use cases: conventions, product unveilings and reviews, or any outdoor shots. In those scenarios, people are expected to take pictures, so no one would bat eye at camera-y sounds. While it may take some time, there many hints that Miggo intends to increase support for Android devices. 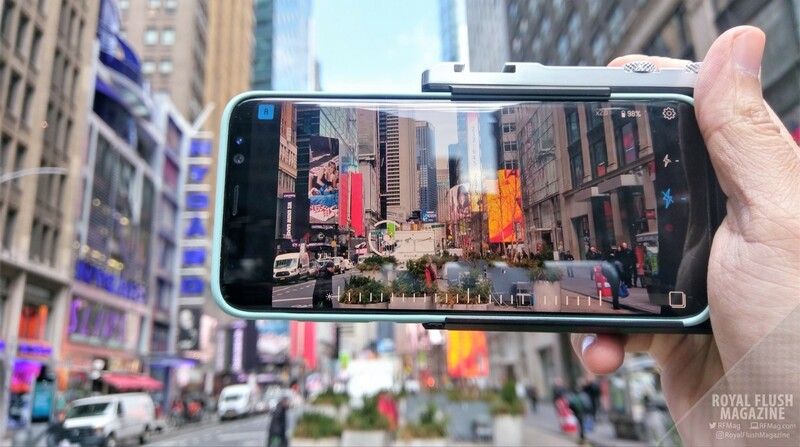 With the Pictar One MKII going for $99.99 and Pictar One Plus MKII going for $109.99, even Android users already have a product available now that is primed to increase their image-capturing efficiency. For what you get out of the box, the prices for both of these models are very reasonable. You are even supplied with a thick carrying sack and some wrist wraps for handling your Pictar grip safely. 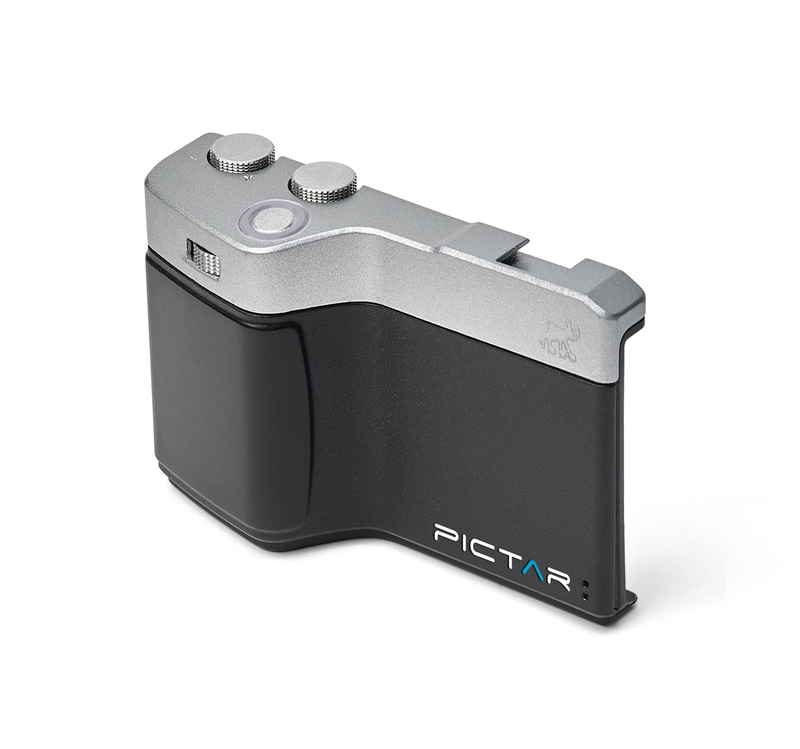 I would absolutely suggest the Pictar One MKII and Pictar One Plus MKII to any iPhone, Samsung, or Huawei device user that takes pictures regularly and more so for users who takes pictures in large chunks. Do yourself a favor and check out the Pictar One MKII and Pictar One Plus MKII for yourself below. † Pictar One Plus MKII review unit and non-watermarked stock product shots provided by Miggo.